Hola! My name is Amy Tyndall, welcome to my blog! I started carrying out my undergraduate studies at Keele University, UK in 2004, doing a dual-honours degree in Astrophysics and English Literature. As you may imagine, it sucked. It was simultaneously killing my passion for both subjects, and as a result, I applied for a transfer to start my second year at the University of Liverpool, UK to study Astrophysics full time. Little did I know that this would turn out to be one of those pivotal moment in my life! During our second year, we were taken on a week-long field trip to an observatory on Tenerife where we really got our hands dirty playing with a small telescope. One look at that clear night sky, and I knew I was hooked. My astronomical and travel bugs were screaming to be let out. And that’s how the adventure started. After my first year at JBCA, I was offered a Research and Support Studentship for the Isaac Newton Group (ING) on the gorgeous island of La Palma, where I spent the year as a Support Astronomer and got to intimately know a great little telescope – the Isaac Newton Telescope, or INT. 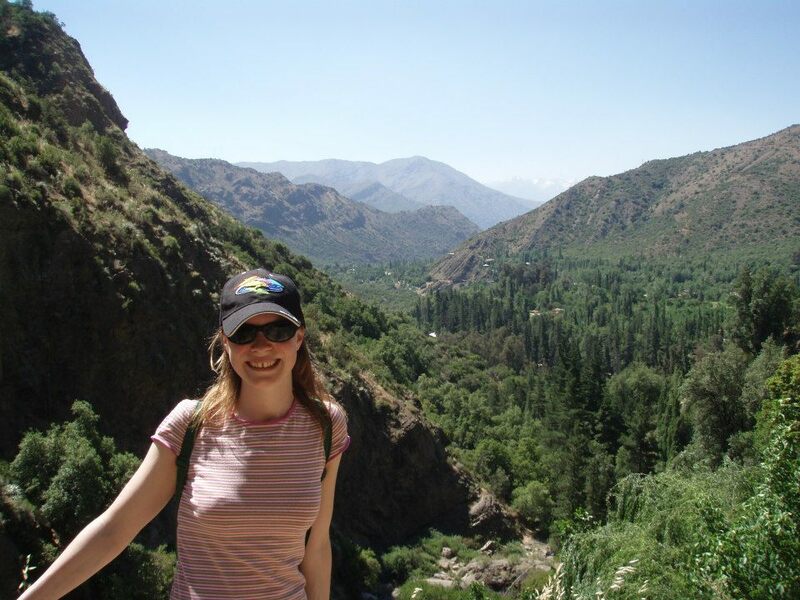 At some point during the hiking, diving, and partying, I was encouraged to apply for a European Southern Observatory (ESO) Studentship as part of my overall Ph.D., where I would be continuing my studies based in Santiago, Chile. Another one of those pivotal moments in my life was when I was offered the place, and I, after a huge internal battle, accepted. So after four months back in my home city post-La Palma to catch up with family and friends over a decent cup of tea, I was back on a plane once more to travel 7,000 miles to start a new life in February 2012 in a new hemisphere, timezone, season, and culture. My ESO studentship officially ended in February 2013, but I stayed on (using my JBCA money) until July 2013, when I had no choice but to go back to Manchester until the official end of my funding with the University to start writing my thesis. Three months later, I came back to Santiago and back to ESO to finish up. And this is the point where you will find me now – doctorate in hand, and back in Chile for the next couple of years. Amy, La Chilena. I find your initial reason for studying planetary nebulae amusing! It’s cool how astronomy lets you explore both the universe and the world together. Also congratulations on getting your doctorate, may you go onto some really amazing things. Haha, well, you have to start somewhere, right? 😉 Astronomy always has been, and always will be, my first love. I can’t imagine life without it anymore! Wow I feel exactly the same way, astronomy is a vital part of my life and is also a way of defining me as a person! Without it, life is infinitely a lot less interesting, it feels like fate or destiny that I discovered astronomy and I feel privileged to have a deep connection with the universe, almost spiritual. I hope I get to meet you at some point during my life!